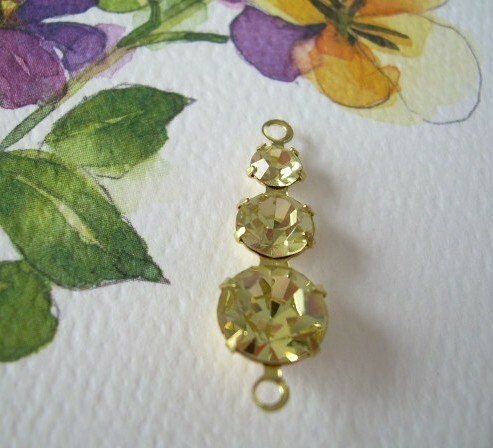 Vintage Swarovski Rhinestone Connectors in a lovely shade of pale yellow, called Jonquil. The glittering stones are in graduated sizes, and are prong-set in raw brass. You'll notice 2-loops for lots of dangling possibilities in your designs! MEASUREMENTS: 1-1/8 inches in length.